Sure, there are other races that offer plenty of money and nice big shiny trophies, but there is no other event that delivers the right to be legitimately recognised as the best in the country. As such, the Archerfield venue is the ideal circuit to host a race that carries so much prestige as it is not a track on which speed alone will bring success. After all, anybody can go fast and the Archerfield layout certainly accommodates that with a lap record benchmark of 11.020 seconds, but the track is one that requires much more than a heavy right foot in the pursuit of victory. It is a track rewards the brave but can be utterly unforgiving and there are very few competitors who have ever enjoyed the spoils of victory on their first visit. 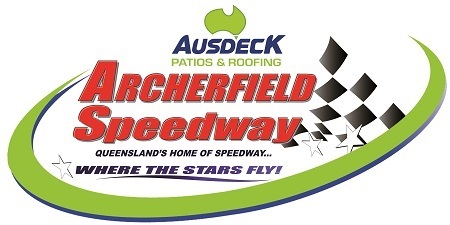 In fact, given there are many very accomplished drivers who have found success at myriad other venues around the country but have struggled to master the Archerfield layout, it is not surprising that more than 30 drivers will be taking the opportunity to contest the Prelude to the Title race meeting on Wednesday night (January 23) as every lap completed during this special mid-week fixture will improve their chances of standing atop the podium on the biggest stage of all. Seven previous winners of the event will contest the 2018/2019 championship and, of these, four will be bringing some very good form with them following results in Warrnambool last weekend. In the Grand Annual Classic, Robbie Farr emerged victorious ahead of Jamie Veal, Kerry Madsen, Brooke Tatnell and James McFadden. While Veal is the only one of this group who is yet to win an Australian Championship, he proved the best of the bunch when they last visited Archerfield, scoring a very narrow runner-up result behind World of Outlaws champion Donny Schatz. If Veal can replicate the pace and precision he demonstrated on that occasion, in what was his best performance ever in Brisbane, he might just be the next driver to have his name etched onto the Australian Championship honour board. Leaving no stone unturned in their bid for championship glory, Veal, Tatnell and defending champion Madsen are all amongst the entries for Wednesday nights Prelude event, as is another former titleholder in Garry Brazier. Other interstaters taking advantage of the Wednesday fixture to secure some vital track time include a couple of young guns in Tasmanian Jock Goodyer and Western Australian Mitchell Wormall, both of whom will be the sole representatives for their state in the championship. Also hitting the track Wednesday night will be a septet of Sydneysiders in Max Johnston, Brendan Rallings, Ian Madsen, Jessie Attard, Jordyn Brazier and the brothers Dumesny in Marcus and Matthew. As a regular on the World of Outlaws tour in America, Madsen brings a wealth of international experience into his bid to create history by deposing Kerry from the throne, a feat which would make them the only brothers to have both won a national Sprintcar title. Of course, the Dumesny boys are looking to follow in the footsteps of father Max, who has won the title twice and will be competing again this weekend, while young Brazier is looking to be third member of his family to win the championship final, with granddad Steve and father Garry having won the event seven times between them. It is this rich history that makes the Australian Championship such a unique and prestigious event; a race steeped in tradition that has ensured a lasting legacy for those select few who have been fortunate enough to hold the championship trophy aloft. Two-time champion Dave Murcott returns to Archerfield with a very good record of success at the circuit, while the South Australian duo of Steven Lines and Ryan Jones are also genuine title contenders. Driving for Brisbane-based team owner Dave Horrell, Lines has every reason to deliver a strong result, while Jones was sensational at his last Archerfield outing. So, beyond the usual suspects, who might emerge from the shadows to cause an upset in the title race? Certainly the likes of Grant Anderson, who finished sixth at Warrnambool last weekend, is a genuine threat, while Sam Walsh comes to Queensland as one of the moist consistently strong performers in Sydney, although he is yet to really achieve the same level of success away from home. Likewise, Ben Atkinson, who hails from the Northern Territory but does most of his racing in Sydney, is another who could be considered a chance of upstaging the establishment if he can adapt to the tighter confines of the Archerfield layout. It is another couple of Sydney-based racers in Attard and Michael Saller who have given themselves every chance of featuring strongly this weekend by making regular visits to Brisbane for which they have been rewarded with good results that should instil them with confidence of a strong showing. With Todd Wanless the only Queensland driver to have won this event, taking the title back in 1996 at Archerfield, there is plenty of incentive for the locals to send interstaters home empty-handed and etch their name/s in the annals of history. Luke Oldfield, Lachlan McHugh, Andrew Scheuerle and Peter Lack are all proven performers at the top level and will spearhead the home state challenge, while Queensland champion Mitchell Gee will also be a starter despite the recent closure of the Titan Garages team. Gee has secured a drive for the weekend and will use Wednesday night to find his feet with his new mount before attacking the weekend with all the gusto and determination that typifies his approach to racing and might just see him deliver a standout performance against the odds. With the Queensland AMCA Nationals Championship also to be decided on Wednesday night, gates open at 4.00pm (3.30pm for online ticketholders) and action gets underway from 5.00pm. Sprintcar time trials are scheduled for 5.30pm and the main program will launch from 6.00pm.